It’s always exciting when buying a property. But, there are a lot of factors to think about. When buying a property, there's nothing quite like an upfront face-to-face chat with a property expert, here's a quick summary of useful tips and reminders for new buyers. Before you start house hunting, we recommend you do your research and find out how much you can realistically afford to spend on a property. This includes any available cash you have, or savings for a deposit. Once you have established the amount of finance you can put towards the purchase of your new home it’s best to engage a specialised mortgage broker. A good broker will identify your inherent costs to buy the property, you'll need to put money aside for such things as stamp duty land tax, and solicitor’s fees. There are many ways in which to look for a property i.e. estate agents, online estate agents, websites, auctioneers etc. When viewing properties, look slightly over your budget with a view to making an offer below the full asking price. When on a viewing with an Agent keep your eyes open for tell-tale signs of damp, musty smells, any subsidence to the property. A good thing to do is look at all the windows and window sills, especially bay windows etc., they may have cracks below and to the side. If the property is an end of terrace or a semi-detached house, just check it’s not leaning to one side, look carefully at properties which have cladding on the outside walls. They tend to hide problems. Don’t be embarrassed to ask to take pictures so when you get home you can sit down and remember each room and property and then make decisions accordingly. Be ready to ask the vendor and the Agent a lot of questions, we as estate agents love it when potential buyers ask questions, it shows you are serious and interested in purchasing a property. You have found your perfect home and you are sure you want to purchase. You have to let the estate agent know you are ready to make an offer. Let them know how much you're willing to offer initially. Think of this as a game of poker, you wouldn’t show your opponent’s your card’s, would you? Be sensible and put in a low offer to test the vendors resolve, gage their reaction, and see what the agent says. He is working for both of you. If you need to resubmit a higher one to secure the property so be it. Don't be disappointed if your first offer is declined because that’s how the game works and purchasing a property is all about hard ball negotiation. 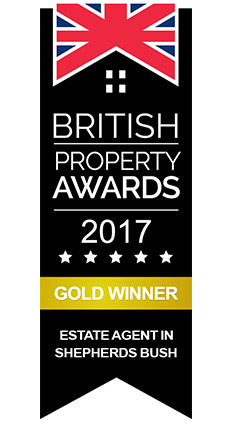 You might be invited to take part in a sealed bid if there are many buyers interested in the same property, hot properties work as a first come first served basis. Offer accepted, now what next? Great your offer is accepted, now what? You'll need legal representation from a solicitor who will act as your conveyancer, who will manage any negotiations to do with the purchase of the property on your behalf. Their job is to check that all the paperwork is in order and to look after the details of the contract for you, they are your property lawyer, acting for both you and the lender.